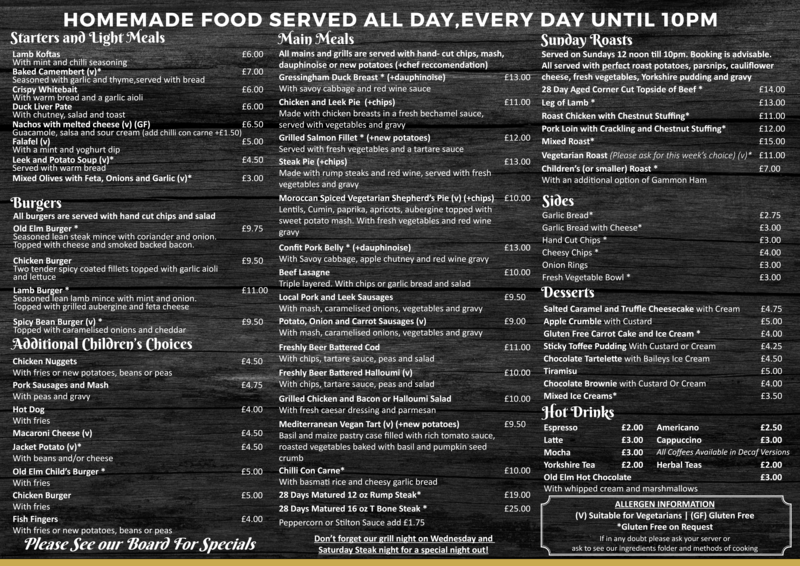 We serve our main menu and specials every day from 12 noon to 10 pm. Go on, treat yourself and someone else! On the first Saturday of every month, we offer a 5-course wine and food matching menu. Although we have seating for over 100 people throughout The Chosen Room and Bar Areas, we advise you to book for any lunch or dinner table of any size. 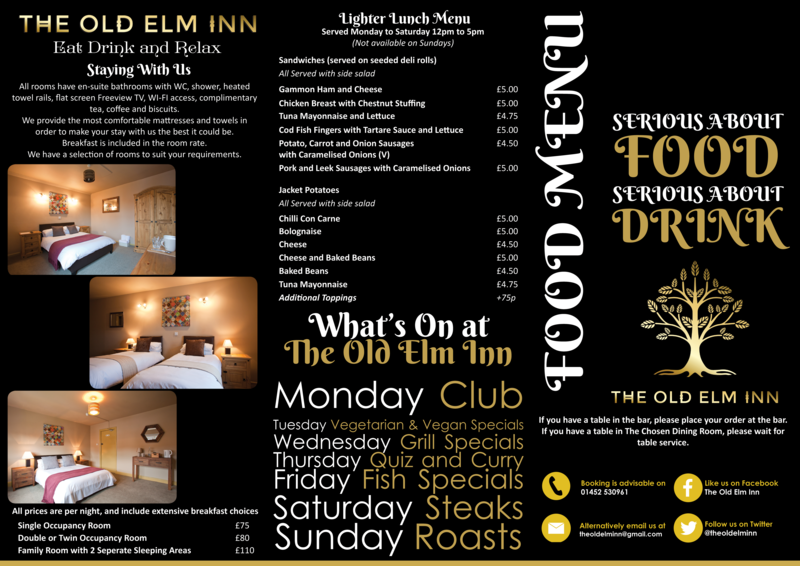 We serve our main menu and specials from 12 noon to 10pm every day. Weekends, Friday evenings and Thursday quiz nights are always busy, so please ensure you reserve a table at these peak times to avoid disappointment. Sundays are particularly popular with roast dinners served alongside our main menu, so we ask you to send us an Email or call the phone number given below so that we can accommodate your party.